Drive a few hours north of downtown San Francisco and a different world awaits. On a recent weekend getaway, my city stress lessened and lessened, almost in layers, and finally just plain disappeared once my ramble north landed in the land of lakes, aptly named Lake County. With dormant winter chill now giving way to warmer, sunnier days, I found a haven of rolling hillsides and emerald green valleys nestled in the grandeur of mountainsides. Grape vines and trees are just starting to open their buds, lake fishing looks good and goats in the valleys are having their kids. In the western notch of Lake County, Mt Konocti separates Upper Lake from Lower Lake, names that help you orient during you explorations, We chose to stay in Upper Lake because we liked the looks and history of the Tallman Hotel located right downtown within a two-minute walk of other attractions such as the Blue Wing Saloon & Café, Lake County Wine Studio for tastings of local organic wines, the art filled Mercantile outlet and easy driving distance to the county’s more than 30-plus wineries, many award winning. with us about the nuances of a choice Zinfandel or Viognier. Susan is a fount of information about the area and very wine savvy. 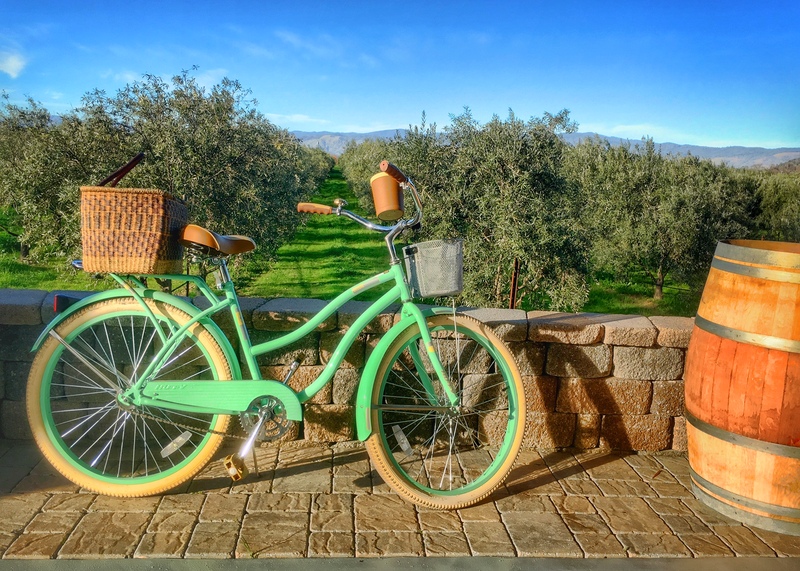 She soon had us up to speed on the whereabouts of the county’s excellent boutique small production wineries and the array of tasting rooms within easy driving distance. We especially enjoyed Susan’s pours of the award-winning organic red and white wines from Chacewater Winery, (Gold Medal winners and rated high by Wine Spectator), and decided to include a stop by their tasting room in nearby Kelseyville. 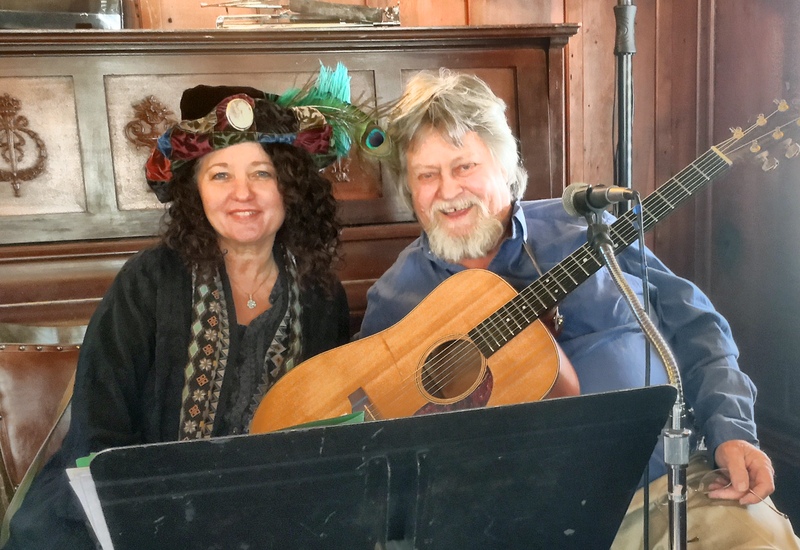 More than a tasting room, Susan’s wine studio combines a full calendar of art events and displays of the creative arts by fine artists who live in the county. We were delighted to meet two local goat cheese connoisseurs and fromagers who were that evening offering samples of their home-made Peruvian-style goat cheese. Theirs was a fascinating story, one of many told by the creative folks we met during our brief time in Lake County. 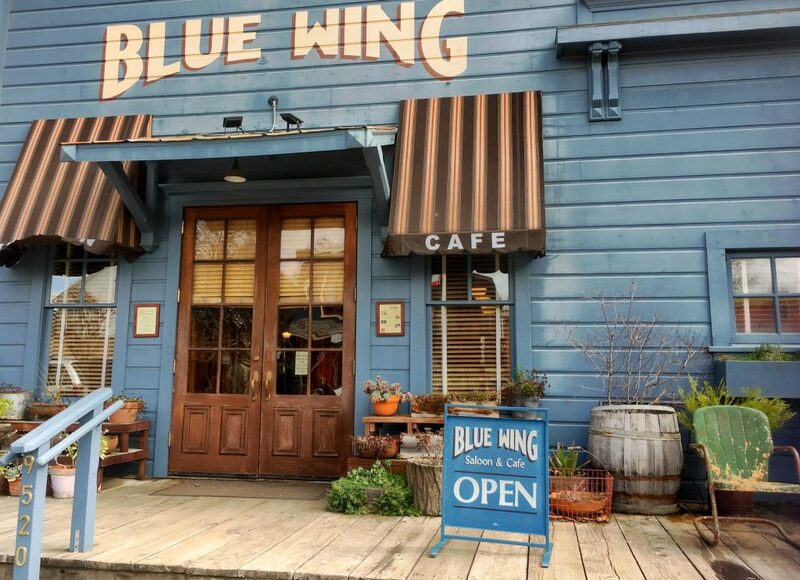 Blue Wing Saloon & Cafe. We’d had dinner at the Blue Wing the previous evening and contrary to our expectations, while it has an elegant California walnut bar, the food and wine is definitely not “bar food.” Menu items include baked oyster; roasted beet salad; fresh from the ocean cioppino; filet mignon with a red wine demi-glace and fresh thyme finished with a puff pastry Napoleon. 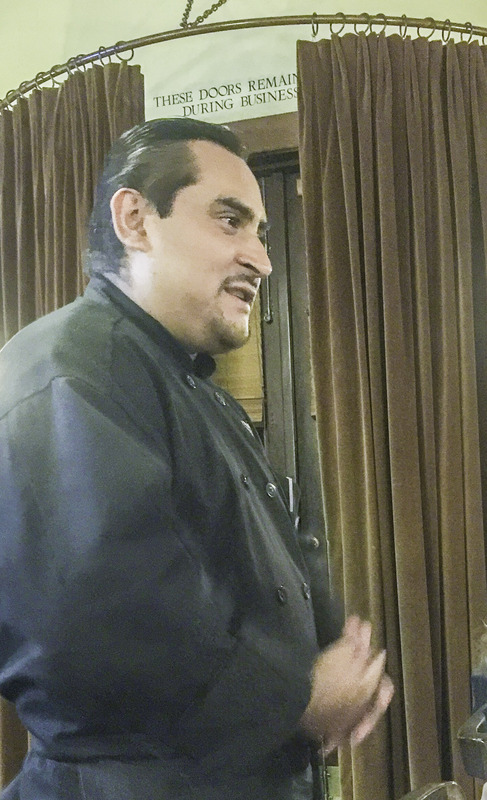 Blue Wing’s Chef Pablo, like his creations, is a work of art. After years in the San Francisco culinary world he yearned to return to Lake County. From the number of patrons on a Saturday night, his return is greatly appreciated. Guitarist and Vocalist Dan Coffin can be reached at: 707-477-0458. Vocalist Gloria Strasburg’s contact information: 707-236-7659. 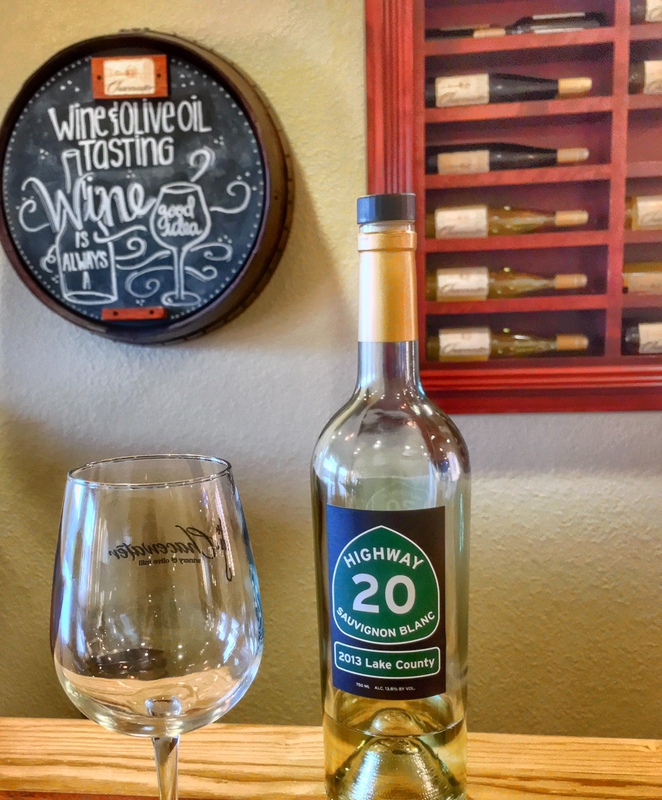 Chacewater Winery and Olive Mill: Named for owner Paul Manuel’s ancestral home town in Cornwall, UK, the family owned and operated Chacewater Winery in Kelseyville uses, as its symbol, the mark of a Chacewater church craftsman. We were glad we visited since most productions are less than 10,000 cases and sales are usually through boutique retailers, farmers’ markets, online and at the tasting room. 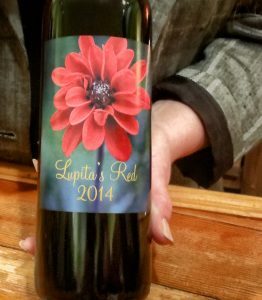 Certified organic and focusing on quality, the winery has recently garnered an impressive list of accolades including: 2015 Muscat Canelli (98 Points, Double-Gold Medal in the 2016 CA State Fair Commercial Wine Competition); 2012 Petite Sirah (91 Points, 2015 CA State Fair Commercial Wine Competition); 2014 Zinfandel (Gold, 2016 Orange County Wine Competition); 2013 Merlot, Catspaw Vineyard (Gold, 2016 Orange County Wine Competition); 2013 “Teal” Chardonnay (Gold Medal, 91 Points, 2015 Los Angeles International Wine Competition); 2012 Malbec (Gold, 2015 San Francisco Wine Competition; 92 Points 2015 Wine Enthusiast Editor’s Choice). Our tasting confirmed the experts opinions–wonderful aroma, color, body and a lingering after-taste that is hard to forget. Besides wine, the olive mill presses and processes unique high quality Gold-medal winning olive oils including Sevillano, Mission and Allegra. All wines and olive oils are organic. Needless to say, we succumbed enough to bring home a variety of wine, bottles of olive oil and a vow to return. (If you go, please leave some for us.) Tasting Room Open Daily. Visit https://chacewaterwine.com. Tel: 707-279-2995. Feasting your eyes on Clear Lake, Mt. Konocti and Lake County’s diverse terrain is art in its own right. 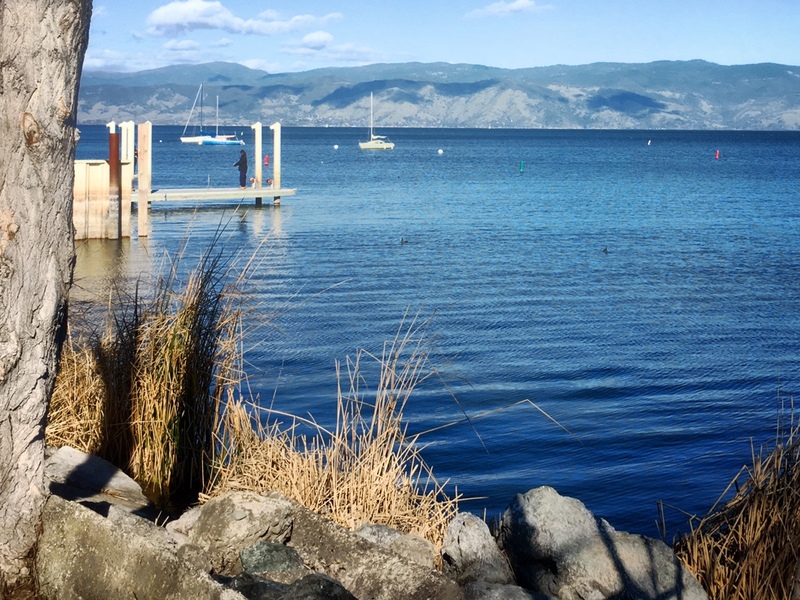 The natural beauty of the region draws artists and art lovers, wine growers and aficionados of all kinds. Browse the wineries, tour the galleries, cruise the winding roads for a true appreciation of how art and wine beautifully blend together. Related Article. For more on dining in the San Francisco Bay Area:Berkeley’s Limewood Bar&Restaurant. Related Article: For more on Wine Tasting, Read Downtown Napa: Sipping and Savoring. Love this post! The Tallman is such a restive self-contained retreat, and Clear Lake has so much to offer for exploration when you get tired of resting. Those of us lucky enough to live here know what a special place it is. Thank you, Lee for your wonderful article. Thank You, Annette. I thoroughly enjoyed my first visit to Lake County and hope to enjoy many more now that I’ve found out for myself what a “special place” it is.